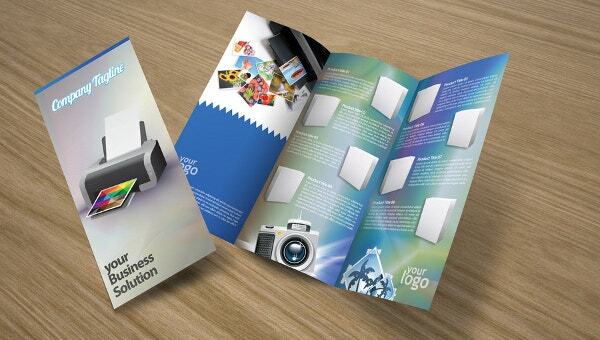 Brochures are great tools for introducing and advertising products, events, and services. The effective use of these brings sales to businesses even in this era of extensive digitalization. 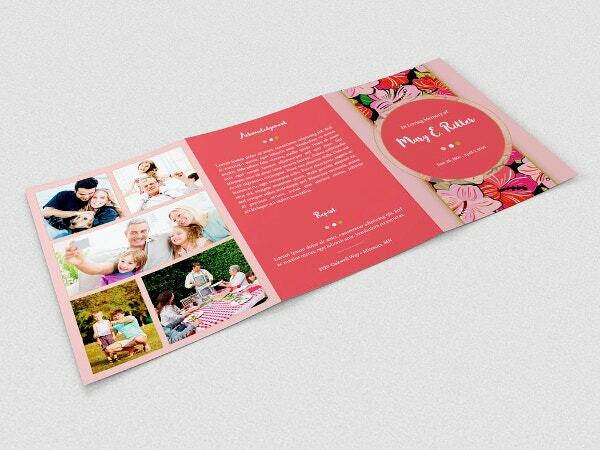 There are different types of Brochure Designs including the bi-folds, tri-folds, multiple bi-folds, folders, inserts, booklets, gatefolds, accordion folds, double parallel folds, roll folds, etc. The tri-fold brochures are compact and easy to read and fold. 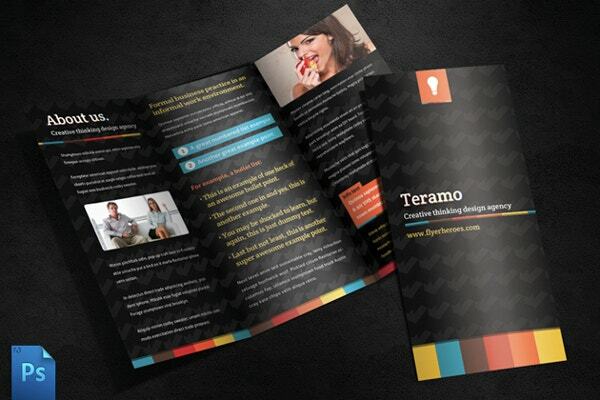 Here is an awesome collection of free tri-fold brochure template designs for you to choose from. 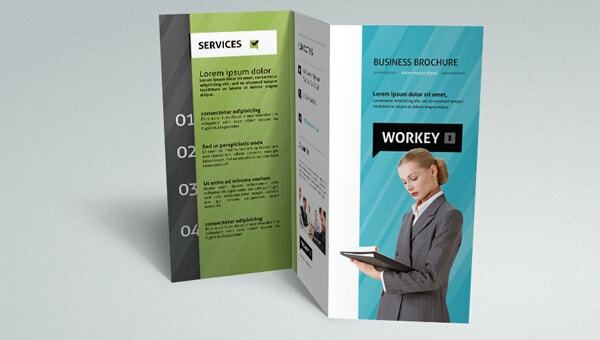 This free corporate Tri-Fold Brochure Template is of the dimension 11×8.5 inches. It is perfect for presenting your services and merits in a crisp and neat manner. It is customizable as well. 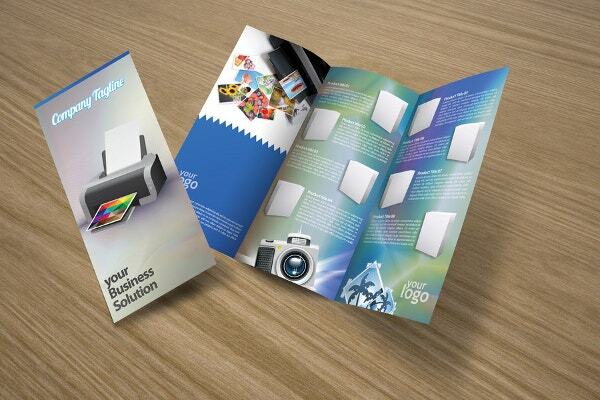 This unique and colorful tri-fold brochure has been created by expert graphic designers. It comes with diamond-shaped columns for highlighting your business features, offers, benefits, etc. 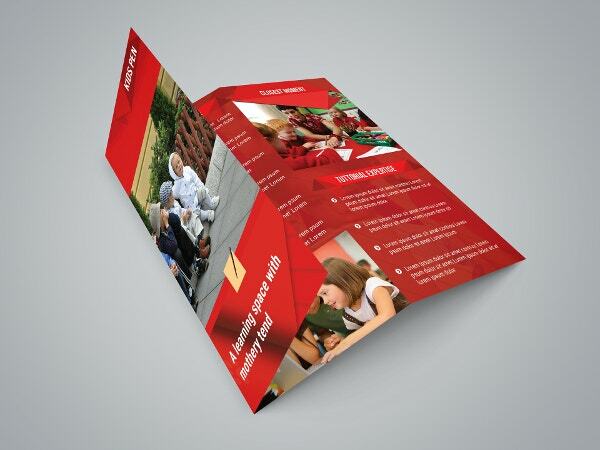 This Free Tri-Fold Brochure has been designed by experts. 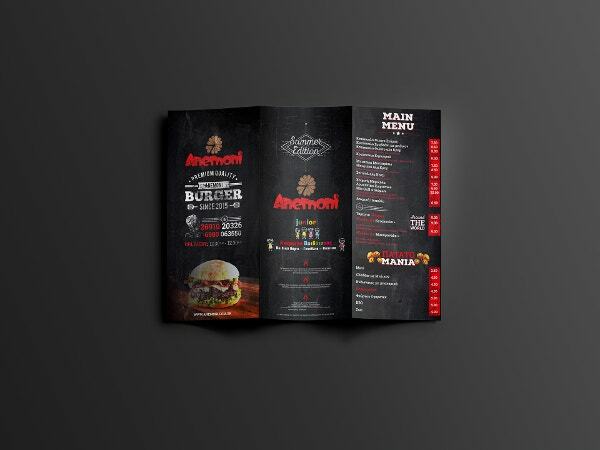 It’s well-crafted design perfectly suits the advertising and marketing of your eatery, take-out, food joint, or restaurant. 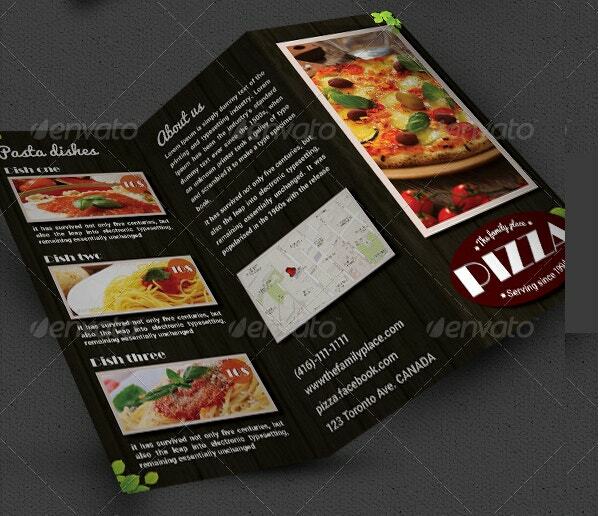 This pizza restaurant brochure template is of the dimension 11×8.5 inches. It has a bleed area of 0.25 inches. It uses CMYK color and wood texture. It is easily editable. This elegant, professional and quality brochure template is colorful and vibrant. It is easily editable and print-ready and has well-organized layers, CMYK color coding, and 300dpi resolution. 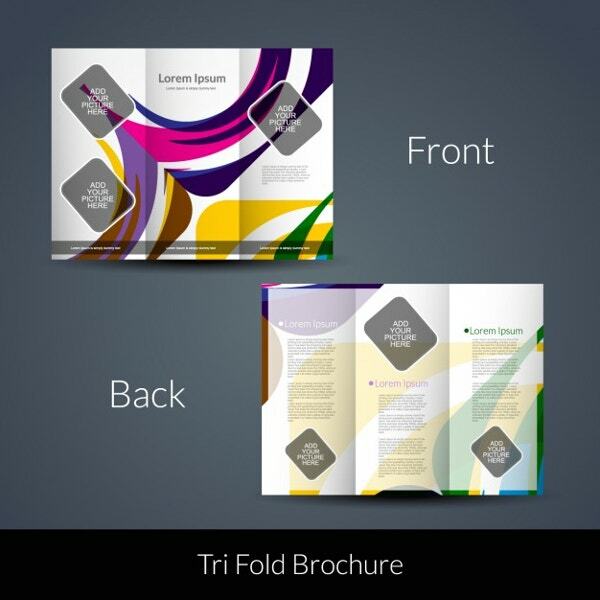 This elegant colorful tri-fold brochure is easily editable and comes with diamond-shaped columns for highlighting your business features, offers, benefits, etc. It has been designed specifically for funeral or memorial services. 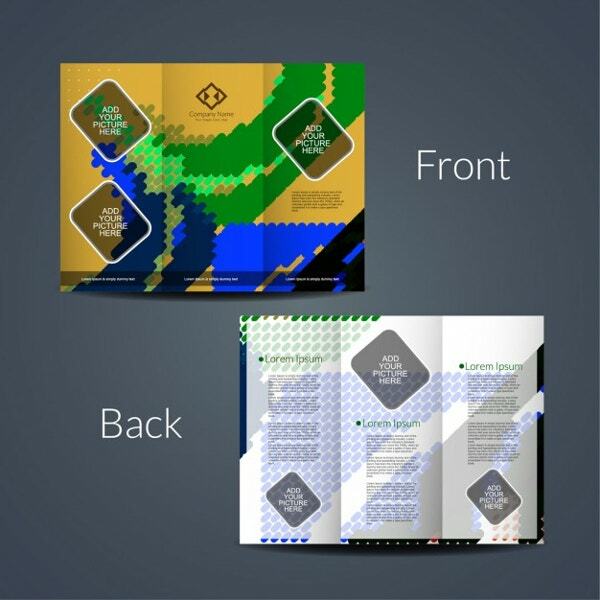 It comes with 4 color options, organized and color coded layers, and 300 dpi resolution. It is print-ready. 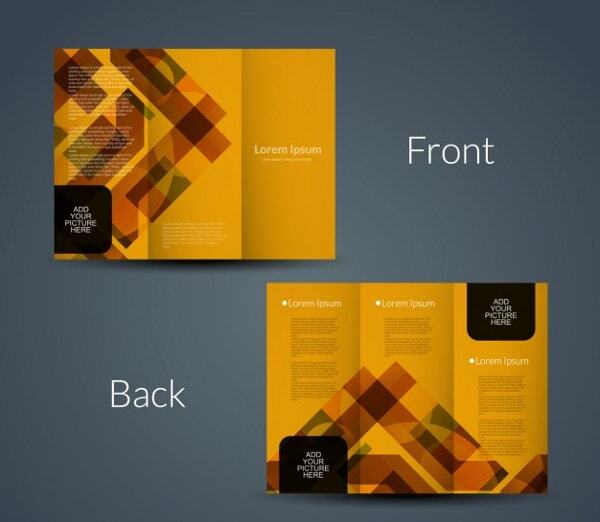 This elegant tri-fold brochure template includes geometric shapes and varying shades of orange. This can be edited and used for various purposes. It has rounded squares for highlighting outstanding features. 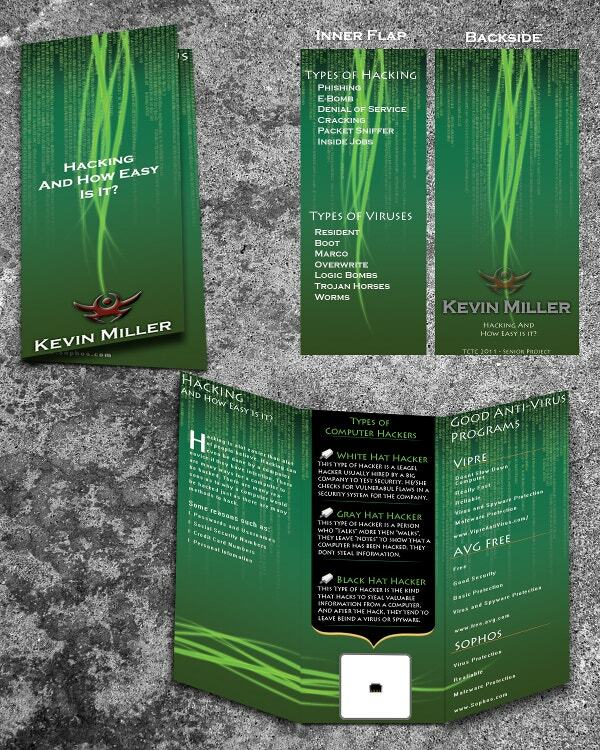 This cool looking tri-fold brochure has shades of green, blue, white and gray. It is a perfect solution for your business marketing. It has provision for adding your logo. 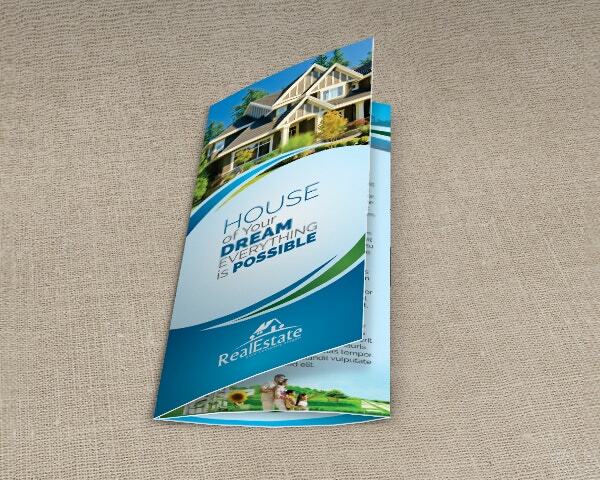 This tri-fold brochure template looks modern and has been specifically designed for showcasing real estate businesses. It includes sections for including photos of villas, apartments, properties, etc. This tri-fold fully-editable corporate brochure has a trendy and modern layout which is perfect for showcasing any business. It is of the dimension 8.5×5.5 inches and uses free fonts. 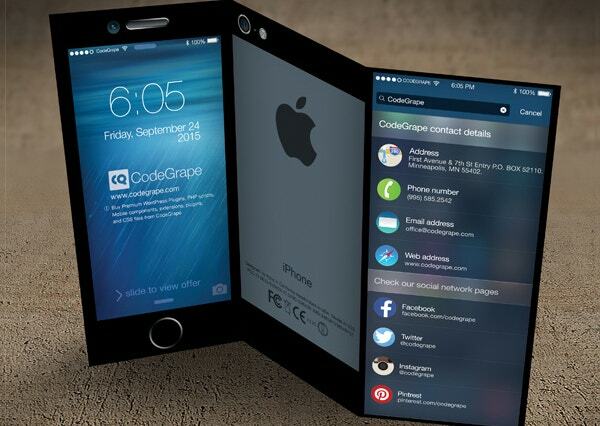 This tri-fold print-ready brochure has been designed for showcasing iPhones. It is of the size 8.26×11.69 inches and includes a bleed area of 0.25”. It has 300 dpi resolutions. 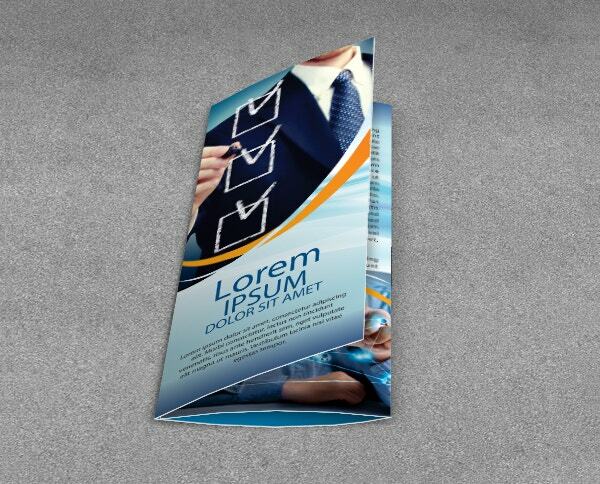 This tri-fold brochure template has been designed by expert graphic designers for a wide range of businesses. It is elegant and modern to perfectly showcase services and products. 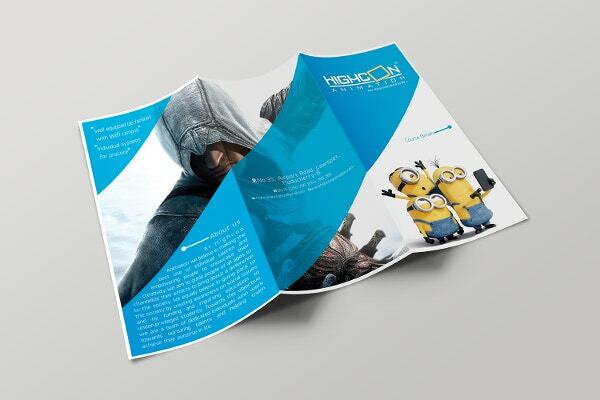 This brochure template uses colorful cartoon characters. It has a trendy flat style, high resolution (300 dpi), and CMYK color mode. It comes with about, services and contact sections. 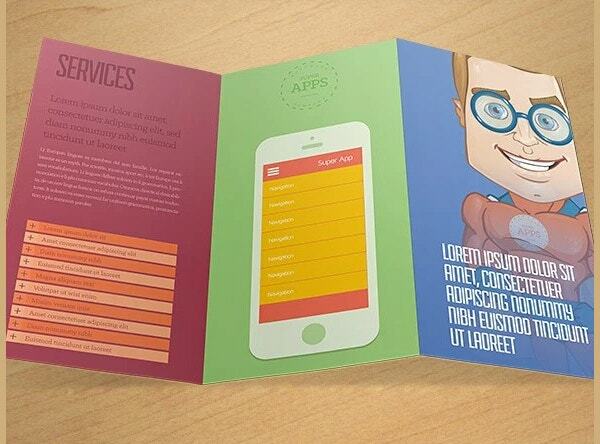 This free PSD brochure template has organized layers and graphics. It uses CMYK color mode for better quality when printed. You can use it for a variety of purposes. 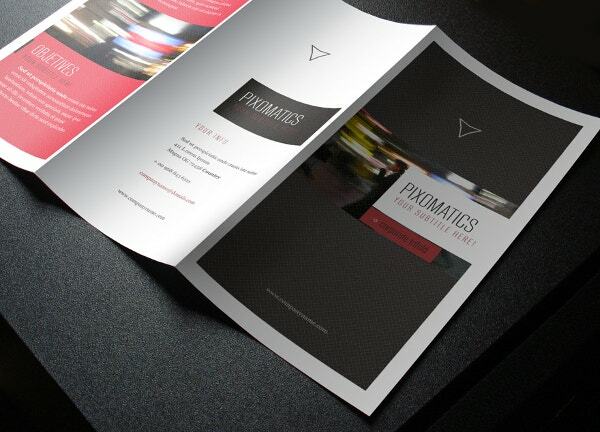 Brochures are ideal marketing materials for all kinds of businesses. Apart from the tri-fold brochures, there are also several other brochure designs including the bi-fold brochures, gatefold brochures, multiple Bi-Fold Brochures, HD brochures, etc. Make use of these to reach out your services and products to a wide population of targeted audience.